Philip Hewitt is an engineering graduate of King’s College, Cambridge. He worked for Queen’s University, Belfast to improve the design and cost estimating processes in a local manufacturing company supplying custom storage vessels from composite materials. This experience of automating design processes led to an interest in software solutions, and applications roles with software companies specializing in process planning. 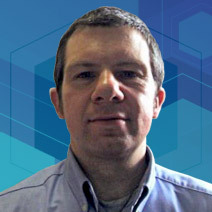 Philip Hewitt joined Delcam (a UK-based CAD/CAM software provider) in 1999 as an Application Engineer specializing in inspection and metrology. Autodesk acquired Delcam in 2014 as part of its strategy to provide solutions for manufacturing. Today Philip is an Autodesk Product Manager specializing in manufacturing and inspection.